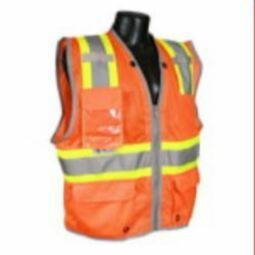 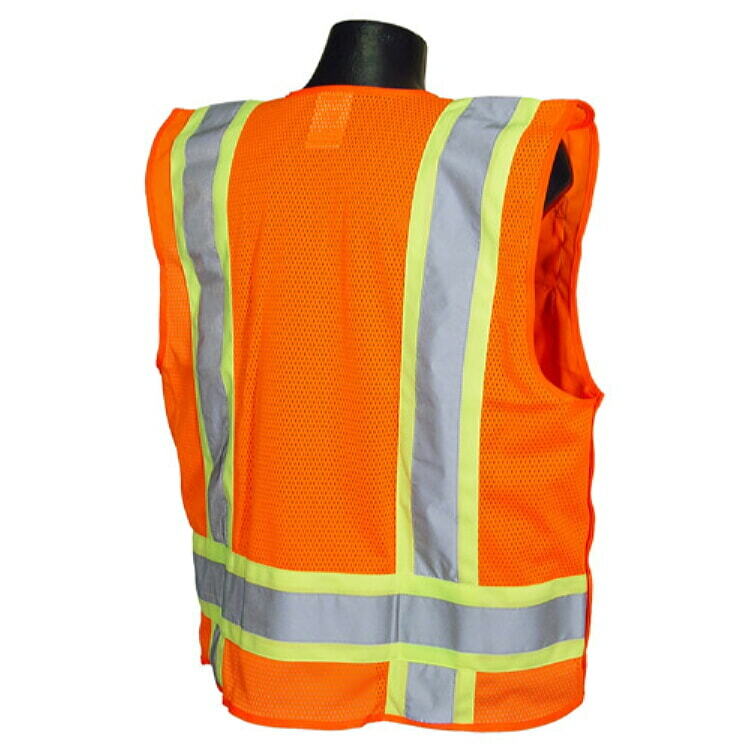 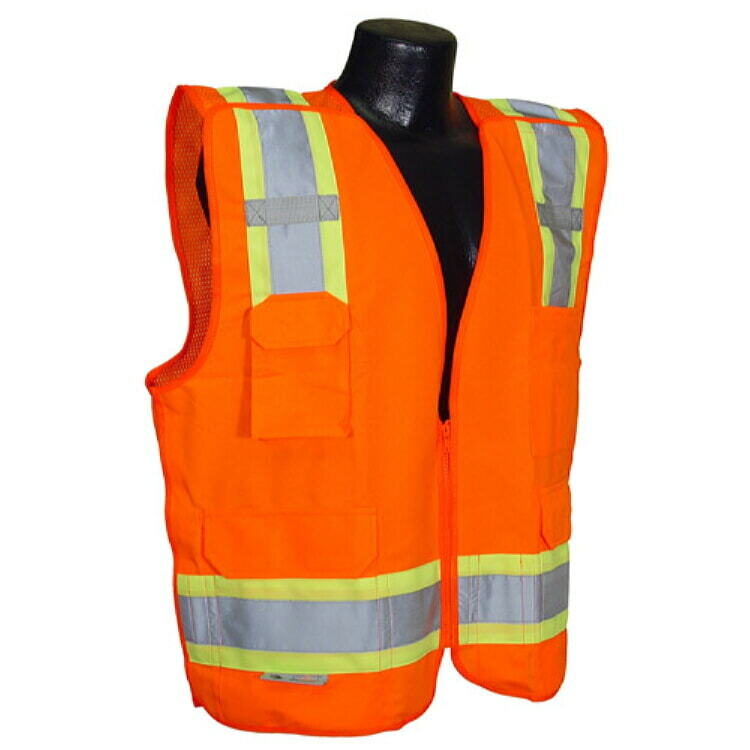 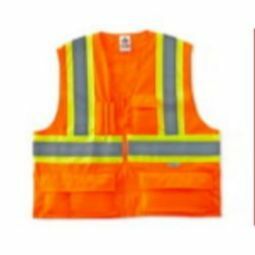 Radians SV46 Surveyor Class 2 Breakaway Safety Vest has Zip-N-Rip closure at shoulders, sides and front zipper closure that breakaway when tugged with moderate force. 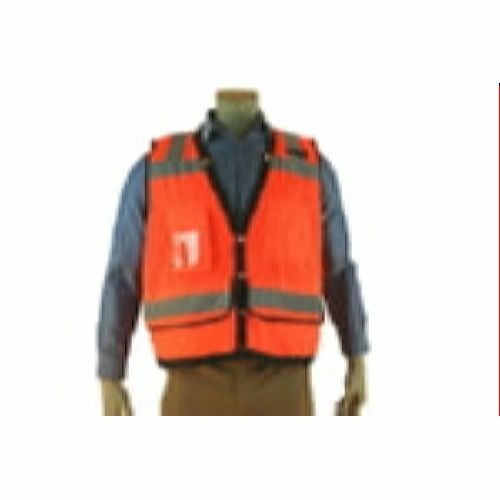 Excellent choice for extreme work environments around moving machinery and equipment to prevent pulling workers into hazards. 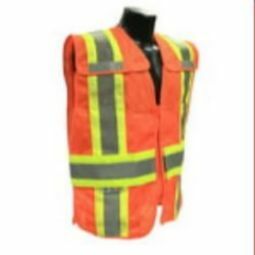 Contrast trim combinations make workers much more noticeable in low light and broad daylight conditions. 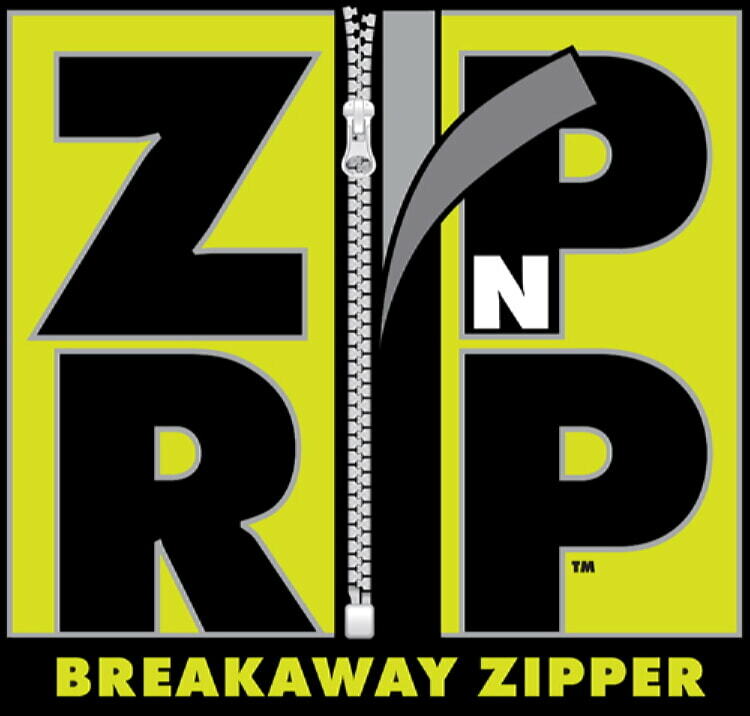 5 Point Breakaway Shoulders, Sides and Zipper Closure.